Project Abyss is a pixel-loving 2D survival RPG that takes place in the deepest place on Earth. 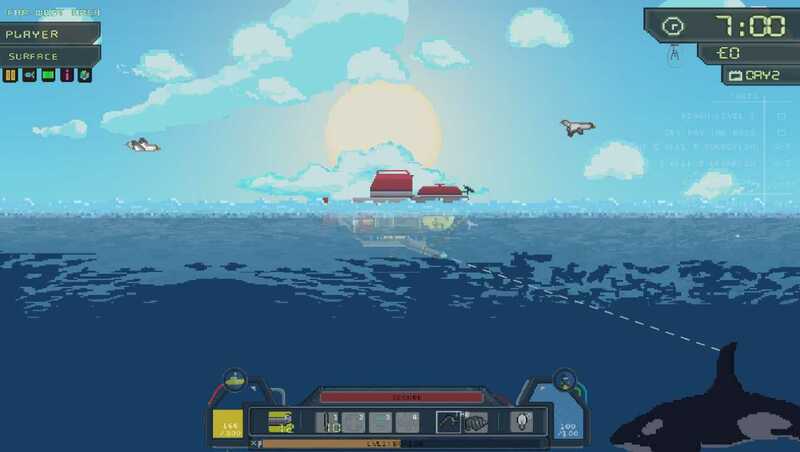 Using a mixture of realism and fun, you control a diver and mini-submarine as you explore a living world of beautiful and deadly sea life, wreckages and enemy subs. Loot money for upgrades, complete tasks, unlock other submarines, and uncover more of the mystery deep below.Utilise your equipment in a stylish blend of combat and beautiful aquatic moments, with a great original soundtrack and ambient sounds; we have created a living, breathing underwater world in pixel art graphics, with it's own day/night cycle. 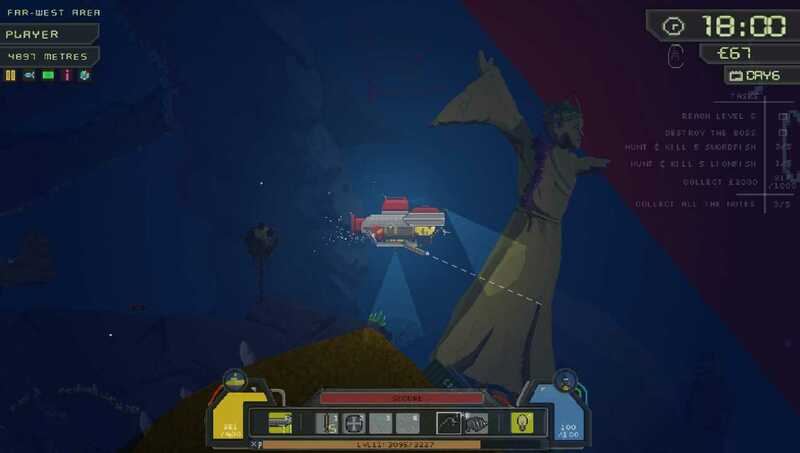 Much of the world is destructible, from blowing up wreckage doors with C4, to drilling and torpedoing your way through rock for fuel cells and chests. 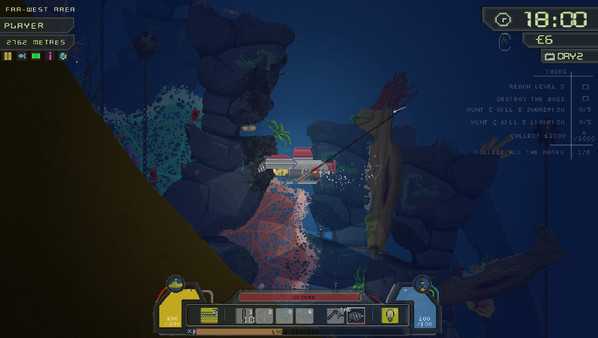 Survive an often brutal world of bosses, turrets, and poisonous plants, filled with lots of sea life to find- including Sharks, Orcas, Whales, Jellyfish, and lots of fish! 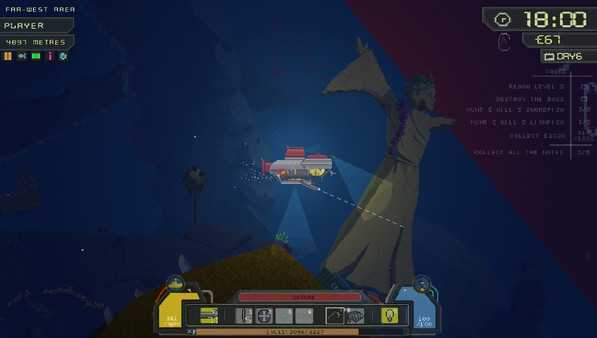 Control your submarine with the turbines; as well as claws, weaponry, and drills! #Updated to include simpler submarine controls as an option. The ability to explore outside your submarine, calling drones, repairing your sub and swimming through abandoned wreckages from pirate ships to a massive world war submarine. 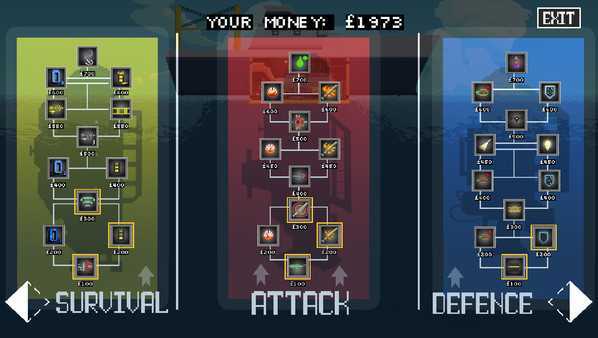 Lots of equipment and upgrades to purchase along 3 tech-trees... Survival, Attack and Defence. Pick up notes to build the story of one diver's destiny that will take you across huge areas; defeating bosses and unlocking the secret of the abyss.There is a lot to see and do, with many hours of open gameplay!